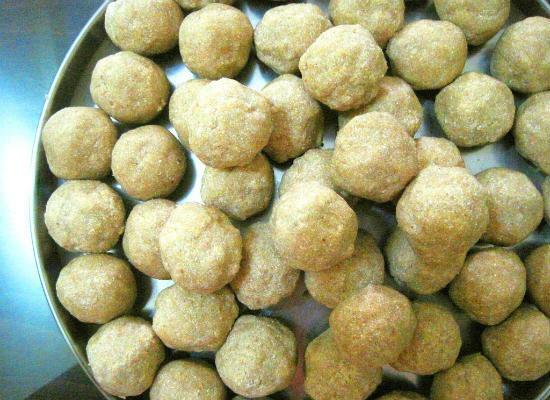 Thambittu (Roasted Gram and Jaggery Laddu) is a popular and traditional Karnataka sweet made during festivals or special occasions. 1. Dry roast the grated coconut, sesame seeds and gasa gasa, separately, in a pan. 3. Add the jaggery and stir well until fully dissolved. 5. Add the gasa gasa, coconut, roasted gram powder, cardamom powder, sesame seeds and mix well. 6. When it is cool enough to handle, make small balls of the mixture and keep aside to cool. Feel free to comment or share your thoughts on this Thambittu Recipe from Awesome Cuisine.